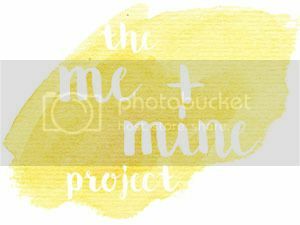 I really shouldn’t be sat here thinking “how is it that a whole month has gone since I was last writing a Me and Mine post” because (a) I’m 35 years old and I really should have figured it out by now and (b) there’s even an extra day to February to help me out. As an aside, is it just me that loves the whole concept of 29 February. A day that only comes around once every four years just has a kind of magic about it and I’m hoping that today proves terribly efficient or exciting or something to make it extra special – or if all else fails I’ll go out at lunchtime to get cake for the team! Anyway, I digress. February may have passed quickly but thankfully not manically. By the time I wrote my January post things were showing signs of slowing down a little bit at work and that prediction proved accurate; this month has been so much calmer; I’ve been able to choose what I do each day at work based on what I want to do and not what needs to be done before it implodes and it’s given me the time to do ambition and long term strategy sorts of things too, which are always the first to go by the board when life gets busy. And of course it means that I’ve been home earlier and home without my laptop and oh that is a level of bliss quite unimaginable to the January me. We also realised, mostly this weekend when H had a home game, just how many away games he’s been playing since the start of this year; clue – it was all of them. And so if January was busy and pressure and holding ourselves together under stress, February has been unwinding and relaxing and relishing being together. We had an overnight away with my in-laws that was a lot of fun despite just about every plan we made for the whole weekend coming unstuck, and we’ve had lazy days at home. And it means we’ve had the mental space to start making progress on a few of our plans for this year. We’re trying out a few different ways of arranging our lounge, and as of yesterday afternoon we’ve even decided on a colour to repaint it, which it badly needs, I don’t think we’ve painted since we moved in. 10 years ago. And amazingly, and possibly the loveliest thing about this month; the sun came out. Oh how we have missed it. And so all of our pictures this month were taken, not in a crazy mad rush on a Saturday morning between ballet class and hockey matches with grey skies glowering in the background, but on a Wednesday (a work at home day) after school and work. That the children are all eating their snack is what happens when you try to take pictures of a family of five and the smallest members of the family confuse “we’ll take pictures and then have a snack” with “we’ll take one picture and then if you want one in focus and with us appearing in it in any state other than howling misery you will provide the snack then and there” so please forgive the noshing. Where photography is concerned I am apparently putty in their hands, and I suspect they’re beginning to realise it. And given our February it seems only fitting that these are pictures from home, and from our garden in particular; we’ve spent so much more time out there this month, playing hockey, pottering around the garden, making plans for this year’s veggie growing, and even hitting my favourite spring milestone of the first load of line-dried laundry. In short, it’s been a good month. And because I can’t resist a good outtake – one of my favourite poses for our family pictures is to have everyone kiss whoever is in the middle; it usually makes everyone giggle so I either get a good photo then, or a good photo in the laughter afterwards. I say usually …. …apparently Kitty just wasn’t that keen on all the affection!